Warren King spent the majority of his professional career with Cargill, Inc. as a trader, futures analyst, commodities broker and international market developer. He was widely regarded as a leading expert on government commodity programs and the underlying fundamentals of food and feed grains. Now Warren's focus has turned to grass fed production and clean water. Since leaving Cargill, Warren has worked as a consultant and thought partner to numerous not-for-profits and small businesses in the areas of food and natural products. His accomplishments as a researcher, contributor and project manager have included Sustain USA's 2006 Organic Harvest Report (PDF), an Illinois Department of Agriculture funded study on the feasibility of constructing a new organic distribution facility (PDF) in the Chicago area and an Illinois Department of Commerce and Economic Opportunity funded study for the City of Rochelle, IL; Capitalizing on Containers (PDF). 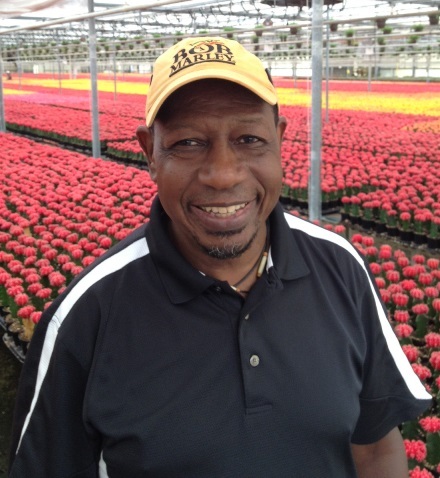 In addition to his consulting and project work, Mr. King held the position of General Manager at Goodness Greeness, the Midwest’s largest certified organic produce wholesaler, until November of 2007. Because of his background and expertise in the food supply chain, he was appointed to serve on the State of Illinois’ Local Organic Food and Farming Taskforce and provides leadership as the Infrastructure Committee Co-Chair on the Taskforce. Warren’s passion for the land, agriculture and sustainable practices is rooted in his northern California upbringing and his work on the farm as a young man. In 2000 he was honored with the Illinois State 4-H Alumni Recognition Award and continues these activities by serving on the boards of Seven Generations Ahead, Sustain USA and the Association of Family Farms, all not-for-profits that are working to increase regional food production, provide new revenue opportunities for farmers and help communities to act and live more sustainably. In addition, he is on the School Food Advisory Council of the Healthy Schools Campaign, NFP. Mr. King is also the co-founder of Kidz Express, a not-for-profit based in Chicago’s Austin neighborhood, working to improve the lives of children through education, skill development, healthy living and exploration of the world around them. Our interview today revolves around Warren’s involvement in the Pasture Project. The purpose of the project is to undertake a multi-year planning and implementation process to increase pastured based livestock production in the Midwest. Using market-based approaches, the project will help producers transition to finishing animals on grass and incorporate vulnerable acreage into pasture and-or rotational grazing. The project will communicate the economic and environmental benefits of pasture based agriculture to a diverse group of stakeholders, including investors, lenders and land owners. Shifting acreage to pasture will contribute to the ultimate goal of reducing harmful algae bloom (HAB) in the Gulf of Mexico. Mr. King is acting as the manager, lead researcher and organizer of the individuals and organizations involved in the project. Warren lives in Oak Park, IL with his wife Kate and their three children and is an avid year-round cyclist. He possesses an MBA in Marketing from DePaul University and is a graduate of UC-Davis with a degree in International Relations. During the interview, Warren brought up a new calculator tool that the Pasture Project has put together to assist producers in analyzing grass fed production and the cost benefits of producing and selling your animals as grass fed and grass finished. They have created two unique calculators which he has shared with us at the Grassfed Network. You will be able to use both calculators for free here on the our site and for now, one is available for immediate use. To learn more about the project, join the Grassfed Network and you will also get a special recorded training on how to use these calculators (coming soon). If you want to lean more about the Pasture Project and their findings, you need to hear this interview with Warren King!